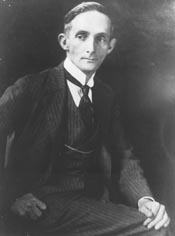 DÁVILA, Félix Córdova, (father of Jorge Luis Córdova Díaz), a Resident Commissioner from Puerto Rico; born in Vega Baja, P.R., on November 20, 1878; attended the public schools at Manati; came to Washington, D.C., and was graduated from National University Law School; was admitted to the bar in 1903 and commenced practice in San Juan, P.R. ; judge of the municipal court of Caguas in 1904; judge of the municipal court of Manati 1904-1908; renominated as judge, and also as candidate for the Puerto Rico house of representatives; declined both nominations; district attorney for the district of Aguadilla in 1908; judge of the district court of Guayama 1908-1910; judge of the district court of Arecibo in 1910 and 1911; judge of the district court of San Juan 1911-1917; elected as a Unionist on July 16, 1917 and reelected in 1920; reelected on the Alliance ticket in 1924 and 1928 and served August 7, 1917, until his resignation on April 11, 1932, having been appointed an associate justice of the supreme court of Puerto Rico, in which capacity he served until his death in Condado, San Juan County, P.R., on December 3, 1938; interment in Fournier Cemetery, San Juan, P.R. Felix Córdova Dávila in Hispanic Americans in Congress, 1822-2012. Prepared under the direction of the Committee on House Administration by the Office of the Historian and the Office of the Clerk, U.S. House of Representatives. Washington: Government Printing Office, 2013.